Cloud Accounting Archives - James Gock & Co.
We are pleased to announce that we are now a certified adviser with Xero. Xero is an online accounting software for small businesses. Use Xero to manage your payroll, invoicing, bank reconciliation, bookkeeping & more. Contact us to start a free trial today! With easy to use payroll, invoicing, automatic bank feeds and reports, Xero is beautiful accounting software that can support any business. Visit https://www.xero.com/au/ or contact our office at admin@gockcpa.com.au or (02) 9267 1688 for more information. 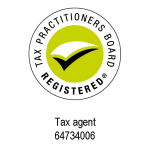 We are pleased to announce that we are now a certified adviser for Sage One Online Accounting. Sage One is the latest cloud accounting software to enter the Australian online accounting market. Although it is new to Australia, it is an established and well developed product, already used in more than 12 countries around the world. Simple to use, it provides quotations, invoicing, automatic bank feeds and a customer portal for your clients to view their quotations and invoices. Priced extremely well for small businesses, Sage One is worth having a look at. 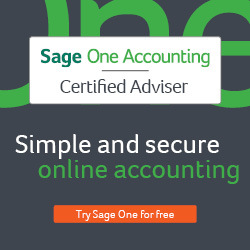 Visit www.sageone.com.au or contact our office at admin@gockcpa.com.au or (02) 9267 1688 for more information.